"Passing cloud, stream of water", the ephemeris of moments, things, and life like a passing cloud and a stream of flowing water. All classes are open to new students and those interested in watching. 3, 6 and 12 month packages. For more information please come to a class. Beginners can train with T-shirt and sport pants (Judo pants, jogging pants, or similar). 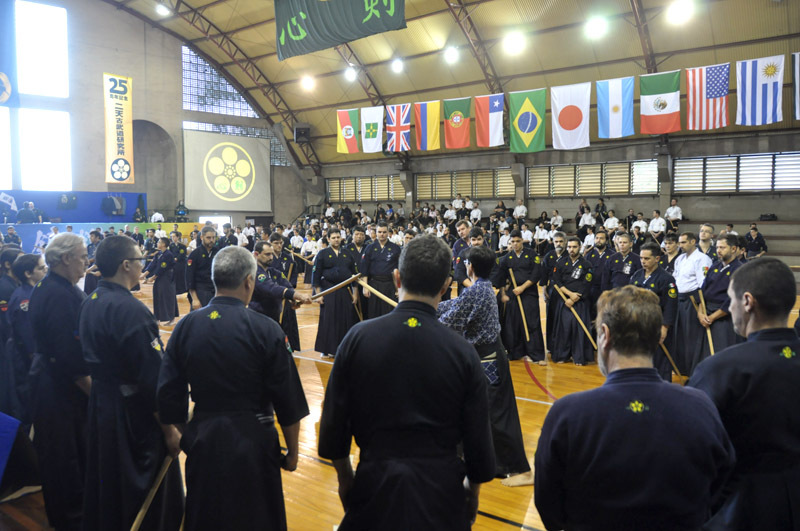 The definitive uniform consists of the Institute´s custom Kimono and Hakama, and the basic practice swords are a standard bamboo shinai and a wooden bokken. 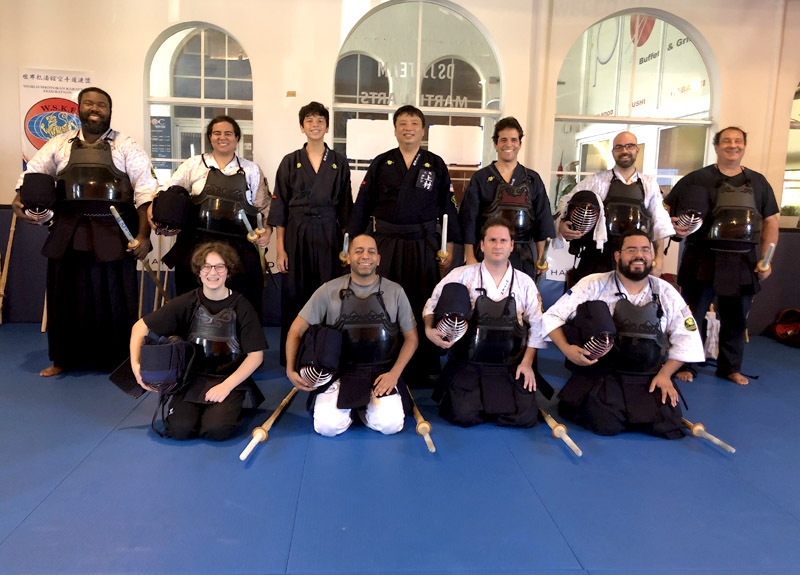 Other equipment, such as combat armor (bogu) and additional weapons, can be acquired according to the progression of each student. For the combat armor, there is also the option of renting armor from the dojo. 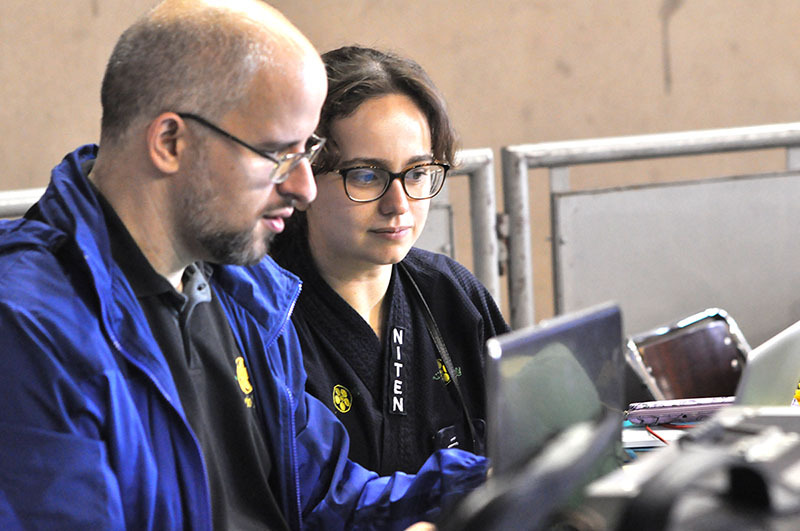 For details about equipment, uniform or rental availability, please ask the instructors of the Dojo. Please feel welcome to visit a training session, as listed on the schedule above. There is no need to pre-register, all training sessions are open to interested observers. If you are interested in participating, but not sure about enrolling, you can take part in experimental lessons for your first two visits. We will provide the necessary equipment, and you won’t have to worry about enrollment and equipment fees unless you decide to continue. The ideal outfit for beginners is a dark T-shirt and breathable workout pants. Adults of all ages, men and women can train. There are no specific prerequisites nor the need to previously have physical training or experience in martial arts. The training brings technical, physical and interior progress to all ages and stages of life. Children from 12 years old can participate in all training sessions. Sessions last an average of 2 hours. 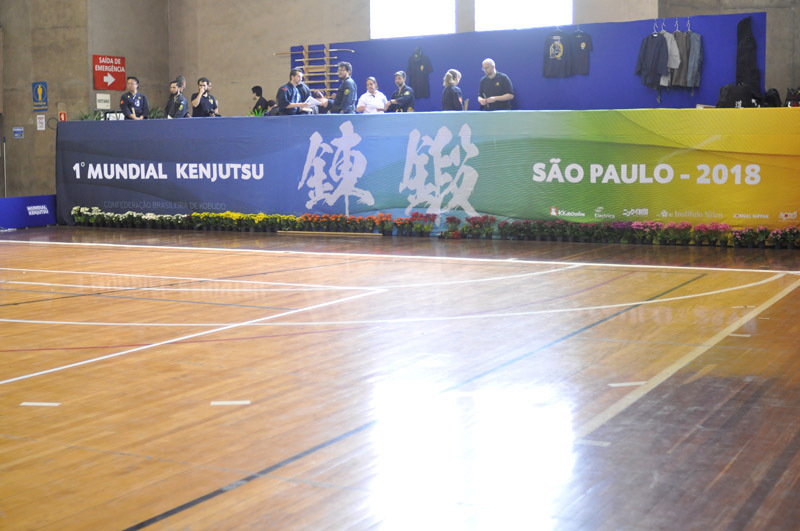 Training sessions are made up of various parts, warm-up, basics of strokes and techniques, sequence training and combat. Combat training is usually divided up into groups of beginners, intermediates, and graduates, while at other times the more experienced may work with and guide the most novice. How frequently one should train depends on the potential of each student. 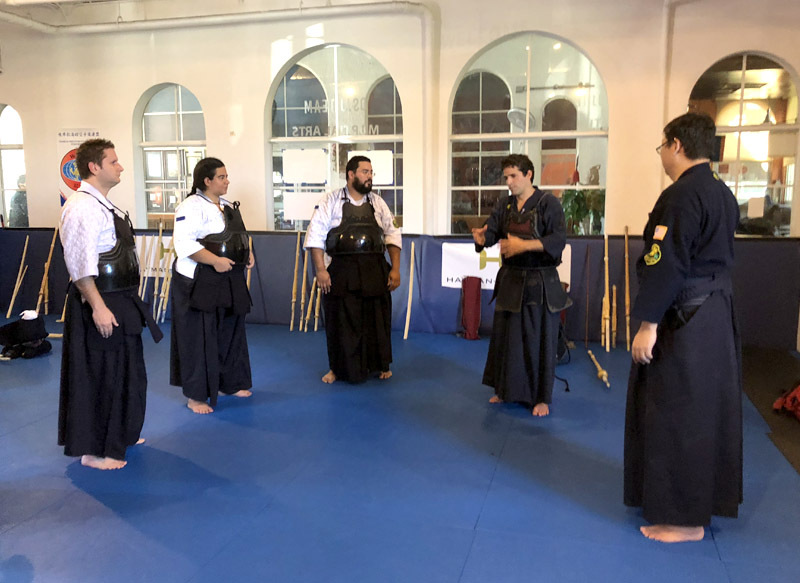 With training just once a week, it will be easy to to see technical progress, physical and health-related benefits, and the assimilation of the principles and values of the Bushido philosophy. A lower frequency of training is still valid, and can provide results for students with less availability. 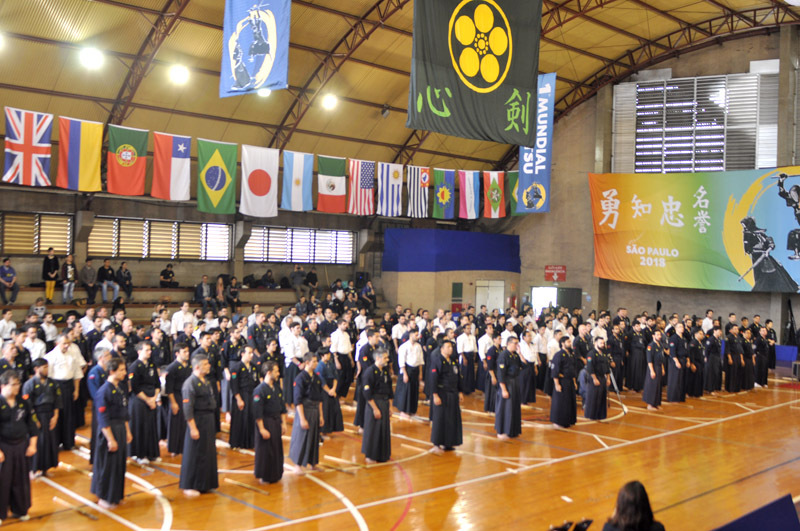 During any visit to the Dojo, try to stay until the end of the session and participate in the Golden Moments, when the training is complemented with elements of Japanese culture and Bushido samurai philosophy. 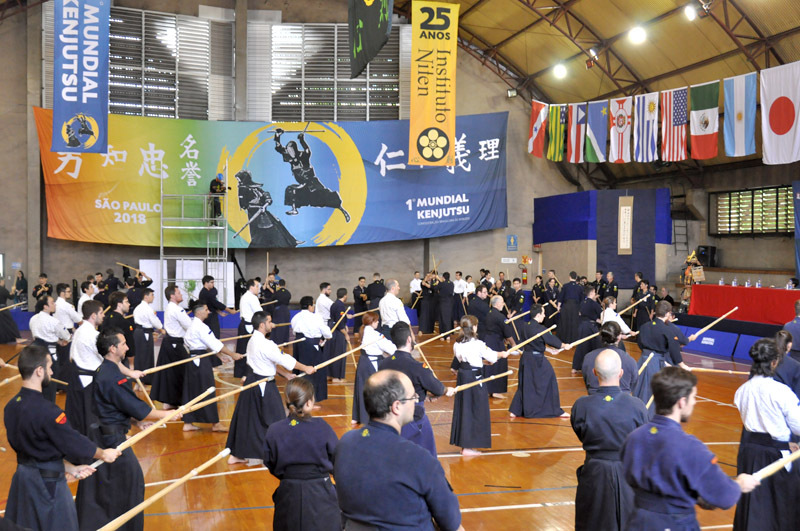 KIR is a training method aimed at the physical, mental and emotional development of the student, giving little emphasis to competitiveness and discouraging the use of force. With this positive energy, the student feels confident to fully develop their potential. The art of the samurai sword is still alive and can be practiced today, with the closest approximation of the experiences by which samurai lived for centuries. There are hundreds of stances and fighting techniques that are practiced during training sessions with the use of appropriate equipment for protection and safety. Within Kenjutsu is practiced the Niten Ichi Ryu style, created by the samurai Miyamoto Musashi Sensei. 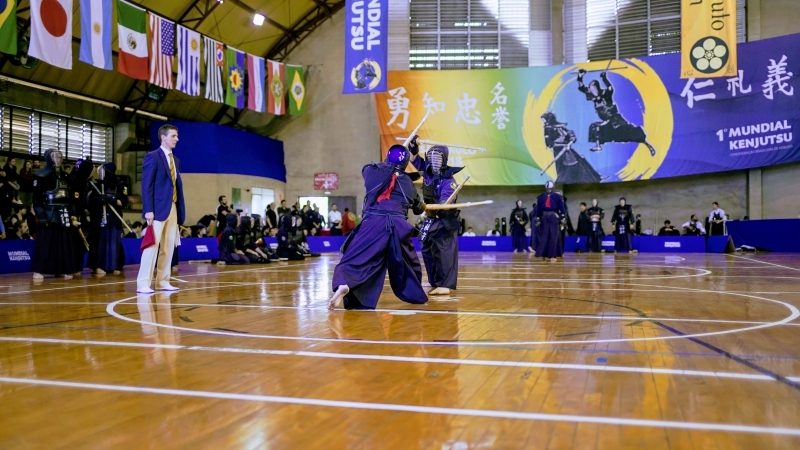 The name of this style means “Two Skies as One,” alluding to the famous techniques of two swords, able to defeat the most skilled opponents with whom Musashi-Sensei crossed swords. 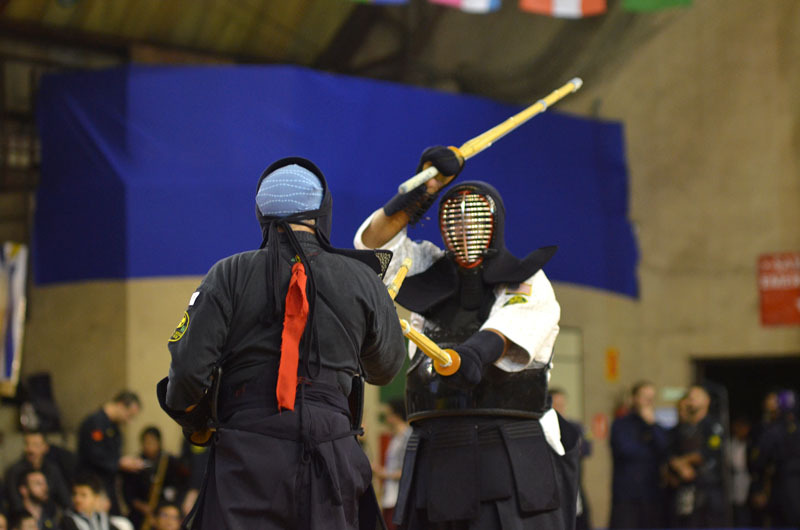 Kenjutsu Combat, created by Sensei Jorge Kishikawa, is when you apply ancient Kenjutsu techniques in combat with modern armor (Bogu) and using bamboo swords (Shinai). 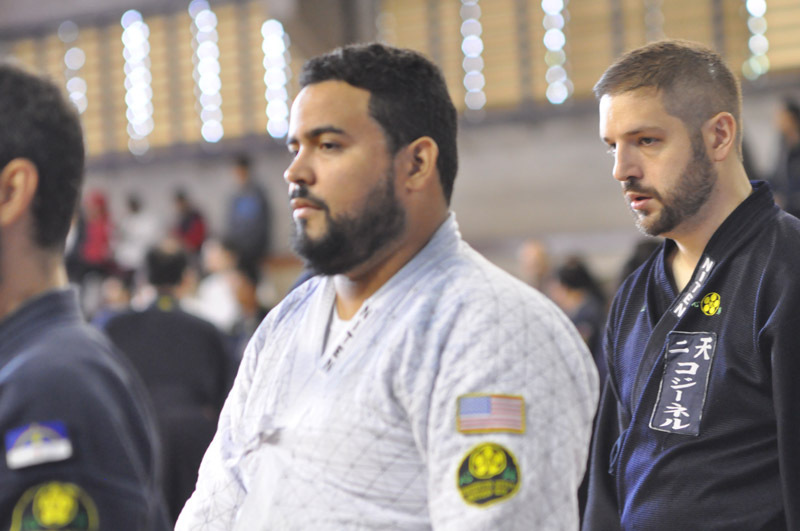 Niten Institute classes are not only for strengthening the body, but also the mind and spirit, by practicing the techniques and following in the footsteps of our founder, Miyamoto Musashi. This style of Kenjutsu Combat only recently arrived in the US with the 2017 visit of Sensei Kishikawa. As such, we are very excited to announce the beginning of regular classes here in the Denver-Boulder region. We have secured a great location at the new Sport Stable in Superior, conveniently located less than a mile from the US-36. Regular classes are currently offered twice a week, but make sure to check our schedule frequently for special guests and events. Come discover the way of the sword! Niten´s General Homepage with details about style, arts and other information. With great joy, I would like to begin this testimonial by thanking everybody at the Colombia unit. I was fortunate enough to be able to travel to Bogota for business and vacation. Senpai Takeshi highly suggested to stop by at the Bogota Institute. At the Asociacion Cultural Japonesa, Senpai Andrés welcome me with open arms and treated me like I was one of his students. Looking forward for the training session to start. I was super excited seen Niten´s companions arriving at the dojo. We started the Saturday session with a strong Kiai, stretching, running through out the big dojo. 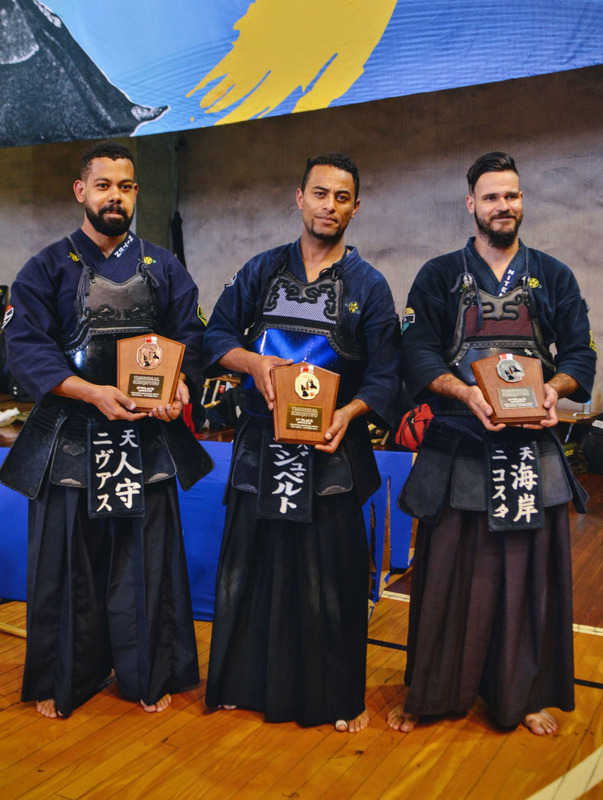 Knowing that I would travel to the US in November, I made plans with Senpai Takeshi during the Kenjutsu World Cup in Sao Paulo last October to visit the NITEN Dojo in Florida. Even though it was a vacation trip with my family, I couldn’t let go the opportunity to strengthen my KIAI while there. Having driven 4 hours in a row the night before and slept less than 4 hours, I had to practice Hagakure vote #1 to get to the DOJO in time. Seeing all my colleagues in Kimonos and hakamas made me feel home immediately. Viggiano - MiamiHai, Arigatou Gozaimashita Senpai Martin! I enjoyed our fight, it is good to train with someone with more experience. it is a whole different energy. Even though it was short I learned a lot from it. Juan Borrero - Fort LAuderdale, FloridaDomo Arigatou Gouzaimashita Senpai Martins! 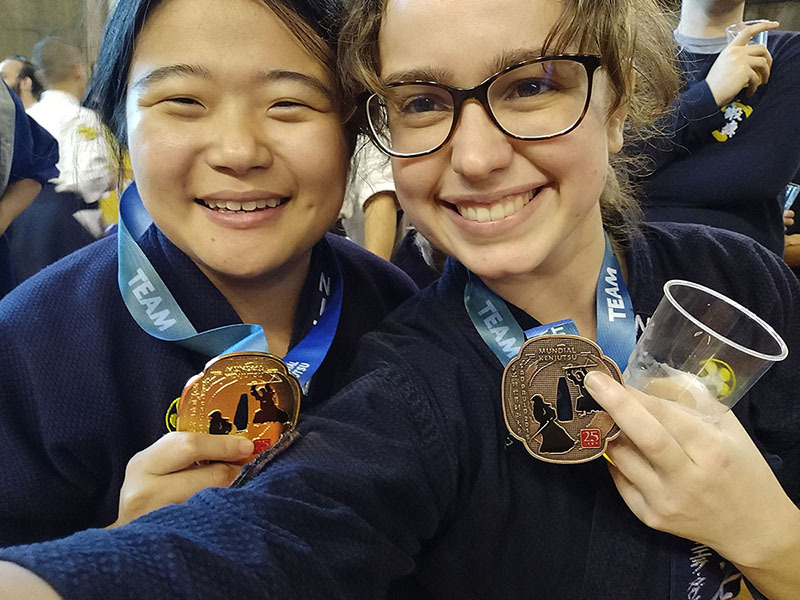 It was a pleasure to have you in the dojo, experience new energies, and most importantly cross the path of the swords for each person`s personal growth. We look forward to your next visit. Takeshi - MiamiDomo Agiratou Gozaimashita Martins ! We are looking forward to practice with you again in the near future. I owed an explanation to Sensei about the meaning behind the tree I gave as an Orei. Last year, I made my first shugyo and took 1000 tsurus to Sensei as an Orei. I made it thinking about the hope of Peace to every one of Niten, the peace that we achieve in training, in advancing on the path and facing the challenges of everyday life. There were 1000 tsurus for the wish to perform and it was multi-colored because we, as students, we have multiple colors, multiple origins and yet unique. 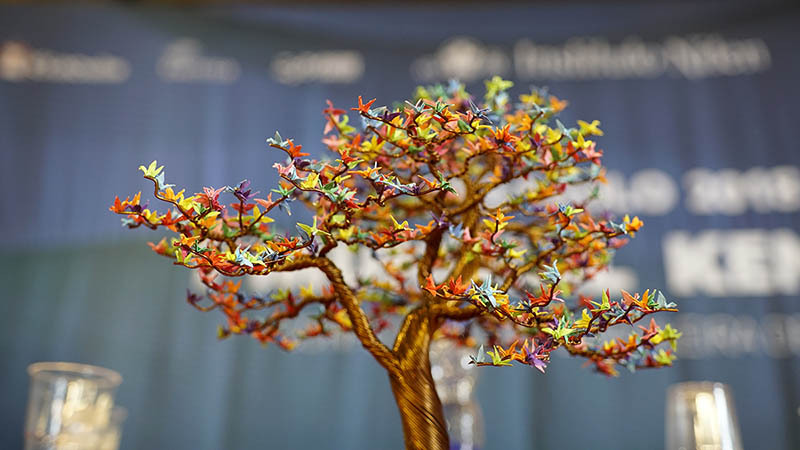 Soon after, I thought of the idea of the tree with foliage of tsurus, and although at first, it was something artistic, better presented, from one year to this it was making more and more sense. The tree is an idea that was planted, a seed that was growing and to break the soil it began to grow humbly, and of course, had to face external factors to develop strong and firm to stay on the ground until it was full of life through its flowers. But these flowers did not come from the tree but instead, landed on the tree. And every tsuru who landed in this tree, fuller, fuller and more alive, remained. 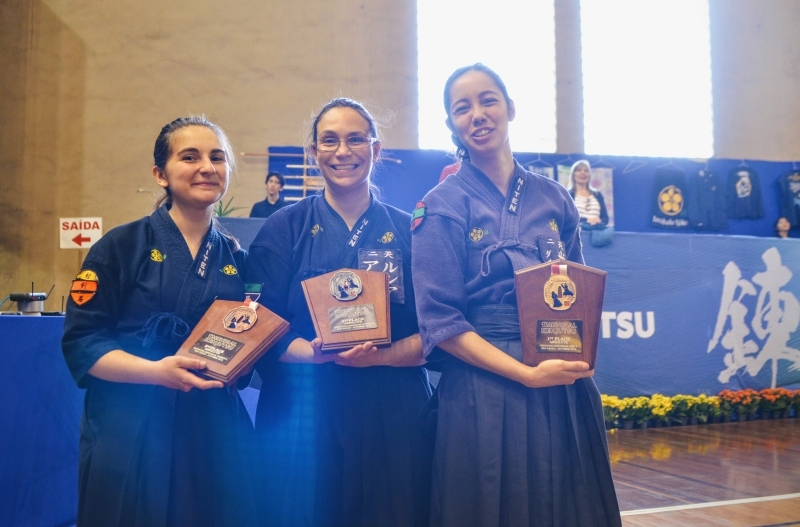 The students of Niten are the tsurus of this idea, the flowers that make the tree a tree and, based on the Sensei`s speech, are the people who made the dream a reality. Sensei can check, the tsurus are not perfect, they are not the same, some are clustered, others are aligned, and that is because we are not perfect, but together we form something so beautiful that it can be considered perfect. And the fruits: the fruit of this tree is when the tsuru flies from it, and at that moment the idea goes with it, growing more other trees in new places. Domo Arigatou Gozaimashita to Sensei and [Mika] Sensei for being warriors to make a dream come true and being a model to all of us who make up this dream. Today it seems that the sun was brighter, that people were more beautiful, that life is much better! My sense of time has changed, it was so intense, I have the feeling that the party lasted almost a month. The screams of the crowd still echo in my head, the image of the little table was branded in my heart. 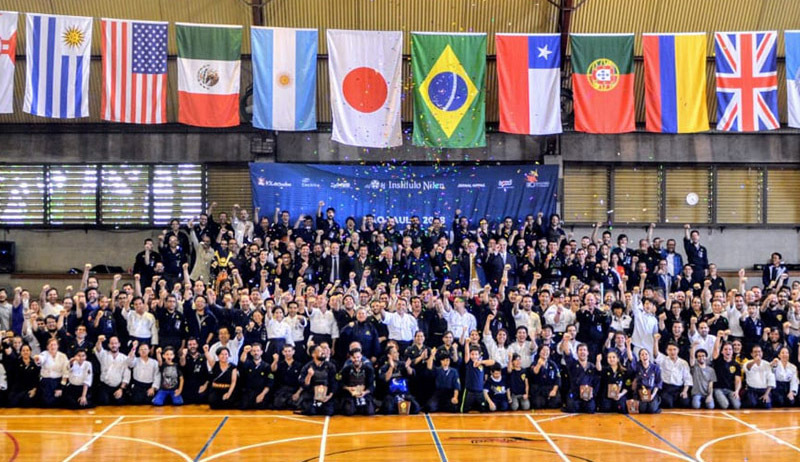 The environment created by Senpai Wenzel was perfect to give the atmosphere of celebration, this congregation was formed from the colors of the flag, I saw Brazilians, Argentines, Mexicans, Portuguese, Chileans, and Americans talking as if they were old friends, true brothers of the Sword! Arigatou gozaimashita Sensei, for opening the path where many passes and many will pass! 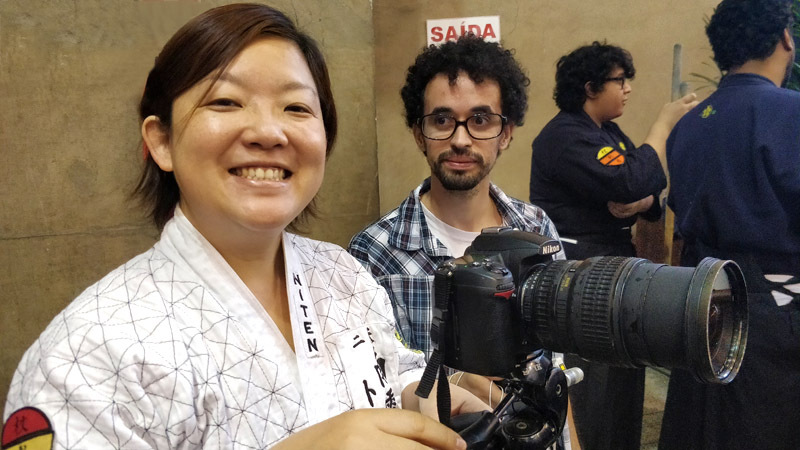 I had the opportunity to talk to Mika Sensei and how she thrilled and inspired me! Having the opportunity to assist in assembling and documenting gave me another perspective of the party, I had contact with different people and reconnect the links. I learned a little of the history of each one of them, and I saw the impact of Sensei and Niten on their lives, they are all very grateful for the existence of Sensei and your work. Sensei has the strength to change destinies! The victory of Senpai Gilberto gave me the joy of knowing that we trained with the best senpais in the whole world! The girls from Argentina motivated me to train more too! And they were the more excited crowd ever! Domo Arigatou gozaimashita for allowing me to help and participate a little in this unforgettable party. A slight verbiage change was made based on Takeshi Senpai`s recommendation. The weekend of October 19 – 21 of 2018 will be one of the most memorable weekends in my life to date. 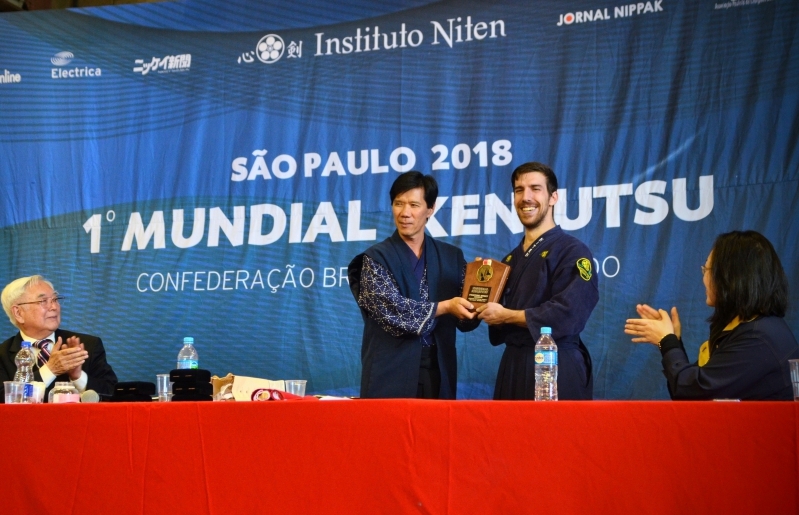 It was with great effort, that I was fortunate enough, to find the solutions that allowed me to travel to Sao Paulo, and not only participate in the tournament, but learn from the source that is Sensei Jorge Kishikawa and all the Senpai’s and Kohai’s that were present. 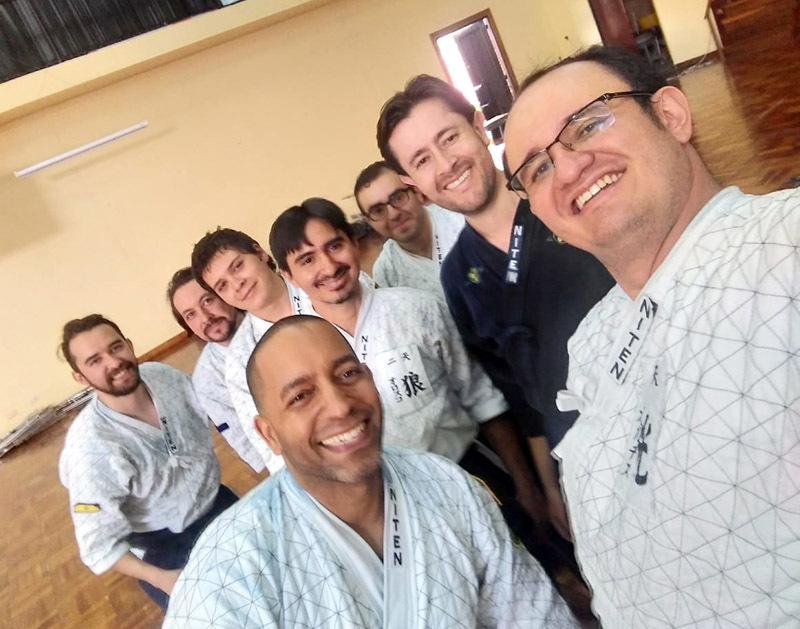 I travelled without goals, without expectations, I wanted to live in the presence of the energy (ki) of Sensei and all the Senpai’s and Kohais from across Brazil and the World.